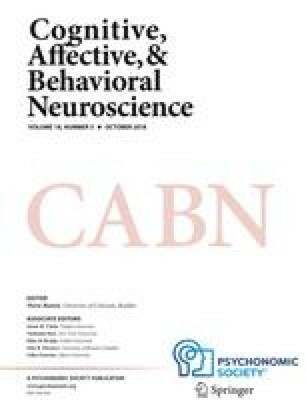 Cognitive reappraisal can alter emotional responses by changing one’s interpretation of a situation’s meaning. Functional neuroimaging has revealed that using cognitive reappraisal to increase or decrease affective responses involves left prefrontal activation and goal-appropriate increases or decreases in amygdala activation (Ochsner, Bunge, Gross, & Gabrieli, 2002; Ochsner, Ray, et al., 2004). The present study was designed to examine whether patterns of brain activation during reappraisal vary in relation to individual differences in trait rumination, which is the tendency to focus on negative aspects of one’s self or negative interpretations of one’s life. Individual differences in rumination correlated with increases in amygdala response when participants were increasing negative affect and with greater decreases in prefrontal regions implicated in self-focused thought when participants were decreasing negative affect. Thus, the propensity to ruminate may reflect altered recruitment of mechanisms that potentiate negative affect. These findings clarify relations between rumination and emotion regulation processes and may have important implications for mood and anxiety disorders.